Our eyes are challenged every day. Working at the computer, watching television and driving by night are very exhausting for the eyes. Dry air, little sleep, alcohol and smoking also interfere with the metabolism of the eyes. Several factors influence eyes health and maintenance of vision. Among these, a good supply with certain nutrients plays an important role. Vitamin A is involved in the vision process and supports the eyes by changing from dark to bright as an integral substance of the purpur. The vitamins C and E help to protect the eye from the harmful effects of the sunlight. As important components of the cellular protection system, they are necessary for the preservation and the functionality of the lens. Zinc regulates the activity of more than 200 enzymes which are involved in nearly all cellular processes. As an integral part of enzymes zinc is involved e.g. 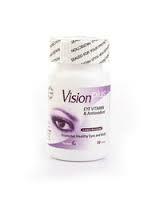 in the utilization of vitamin A in the vision process. 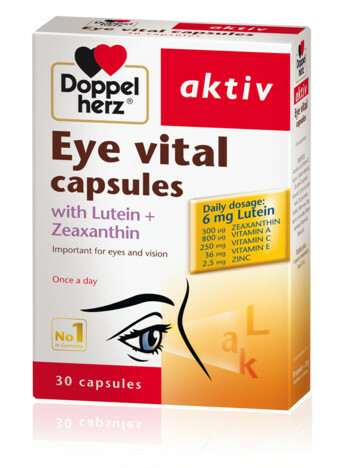 Lutein and zeaxanthin are secondary plant compounds that belong to the group of carotenoids. If nutritional intake is adequate, lutein can support the eye and vision function.